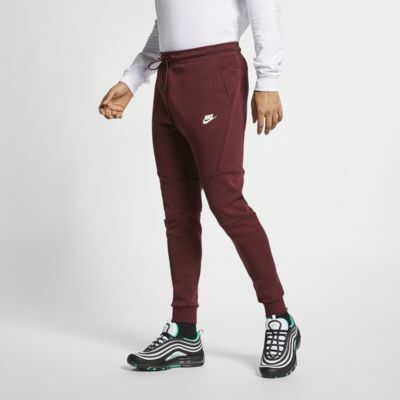 Le pantalon Nike Sportswear Tech Fleece Jogger pour Homme vous offre une coupe fuselée conçu pour accompagner vos mouvements. Il comporte de nombreuses poches et un tissu respirant et léger. These pants fit great. 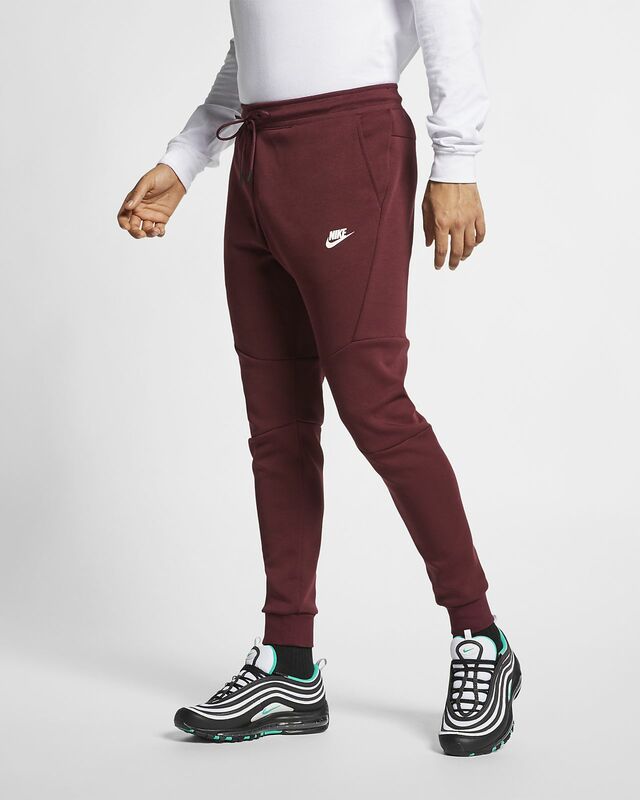 Pretty comfortable and I like the style/cut but the color is a little off from what it looks like on the website vs. what it looks like in reality. It's not a bad color just more of an orange red rather a true red fyi. Quality is very bad. Material around zipper is coming undone after one use. Previous gen is much better. For $100 this should last more than one use. IMO pass on this gen until they make something of quality. DONT BUY!! !